Provide comfort for the family of Caroline Battisto with a meaningful gesture of sympathy. 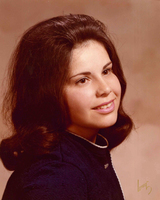 Caroline (Terni) Battisto, 74, of Bristol, wife of Joseph Battisto, passed away March 29, 2019 at John Dempsy Hospital in Farmington. Born on August 27, 1944 in Norwich, CT, she was the daughter of the late Vincent and Josephine (De Palo) Terni. As a wife, Carol’s love for Joe was on display every minute of every day and that love was clearly reciprocated. Married for 45 years, each year as good as the first. As a mother, notes left at your bed side in the early morning everyday helped you push through the school day knowing we would all be together later that night. A fierce cheerleader at her son’s sporting events. Proud was a word she shared with her sons daily. That same love was given to her grandchildren, an unmatched love that one can’t even begin to describe. Carol was an accomplished art teacher at Norwich Free Academy for over 40 years. She was well known for helping students express themselves and achieve a level of creativity they didn’t know they had. These traits show in the notes, cards, and messages she received over the years from her students. Living in Bristol created over an hour commute each way to get to school which showed her dedication to her craft and students. It helped that she had all those cool sports cars to take her to and from. There are no words to describe the void that we all feel now and probably for the rest of our lives. However, we are not at a loss for words in remembering who Carol was: devoted, loving, caring, generous, and kind. She was talented beyond comprehension. We would joke that she had more talent in her pinky then we had in our entire selves. She was an educator, a helper, a listener, and when necessary, straight to the point! She was an artist in all aspects of her life whether she was creating art or simply cooking a meal. She showed us what courage is and how to fight for things you want and love. A disease that takes many lives in only three years Carol fought for over 10! Her last days with us where so very hard knowing she was fighting for us not for herself. We would all trade anything for one more conversation, one more hug, one more laugh, one more meal together, but we know she is finally resting comfortably. That void we all feel will always be there, but we know to fill it with infinite cherished memories we have of her. Remembering Carol as a wife, mother, teacher, friend and now an Angel looking after all of us. WE LOVE YOU forever, rest easy. Besides her husband Joseph, Caroline leaves two sons and daughters-in-law Craig and Amy Battisto of Burlington, CT and Ryan and Aliza Battisto of Bristol, CT; one brother Vincent Terni and his wife Betty from Uncasville, CT; three grandchildren Giona and Guiliana Battisto and Brett Maynard and several nieces and nephews. A mass of Christian burial will be held Thursday, April 4, 2019 at 10:00am at St. Anthony Church, 111 School St., Bristol. Entombment will follow in St. Joseph Cemetery’s Holy Family Chapel Mausoleum. Calling hours will be held Wednesday, April 3rd from 5:30- 7:30pm at DuPont Funeral Home, 25 Bellevue Ave., Bristol. 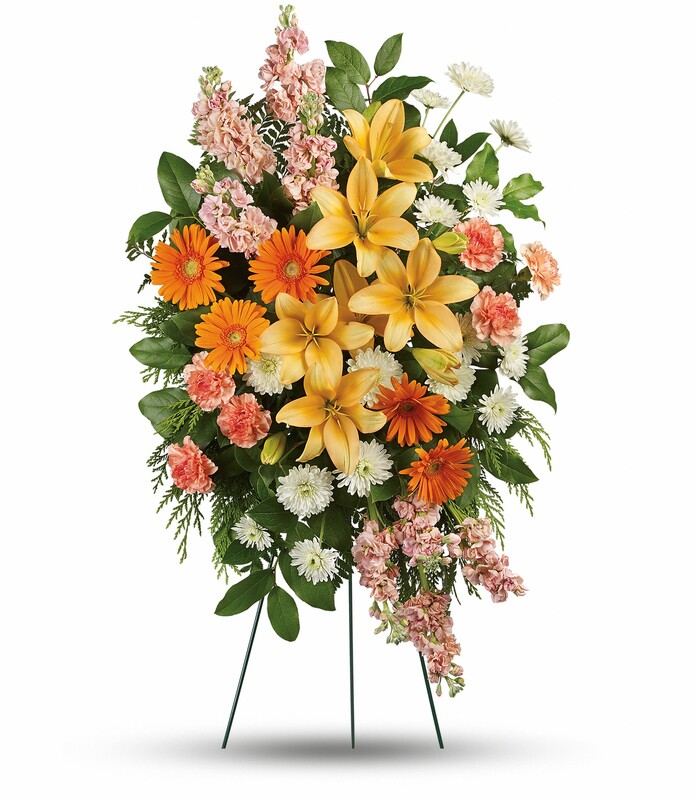 To send flowers in memory of Caroline Battisto (Terni), please visit our Heartfelt Sympathies Store. The Hibu Training Team, Peter and MaryJo Tamaro III, and others have sent flowers to the family of Caroline Battisto (Terni). When I think of Caroline, I think of her as Mrs Battisto my former design teacher in the mid 1980's at NFA. She was a star among a constellation of artists who formed a faculty that I and my fellow artists-in-training are privileged to have known. Mrs Battisto had a unique way of challenging us to exceed what we thought we could achieve. She was able to inspire a desire to push assignments as hard as it took to get results that'd meet the goals she'd set. Mrs Battisto was equal parts elegant task master, drill sarjeant, and patient guide. If she used the word "exquisite," you knew you were on point. Sometimes she would say, "Turn it 90 degrees. Ok keep going turn it upside down. See? It's much better that way." She'd be right of course. "What are the five elements of design? Line, form, shape, color, texture. Memorize them! Designing from the middle and work your way out. Hurry up! If you worked in a professional design studio you'd have to be done by now!" Caroline taught me to want to reach further than I knew was possible, well beyond what I thought I understood about art and design. Thank you Mrs Battisto; for igniting my love of design, and for helping me achieve a great life. I am sorry for the loss your family must endure in their time of what can only be intense grief. I will think of you often for the rest of my days of line, form, shape, color and texture. Dear Joe, Craig, Amy,Ryan, Aliza and your precious children, You are a wonderful family with so many beautiful memories. I am glad I had a chance to know all of you. Caroline was just a very warm and caring person. She will be dearly missed. My Deepest Sympathy to you all. Joe, Ryan and Amy, Craig and Aliza, and grandchildren, I wish there were something I could type or say that might lesson your grief, but there just isn’t. The only thing that stops us from crying is remembering that laugh. Caroline and Donna talking about the old days and just laughing and laughing. She had the greatest laugh. Caroline is greatly missed. Ryan, Our thoughts and prayers are with you and your family. I have nothing but fond memories of your mother. Please accept our sincerest condolences. -Adam Giuliano and family. Sent with love and deepest sympathy. Heartfelt Sympathies Store purchased flowers for the family of Caroline Battisto.